Foshan Esun Furniture co.,Ltd. is characterized as an office furniture solutions supplierswhich caters to the commercial, institutional and healthcare markets. 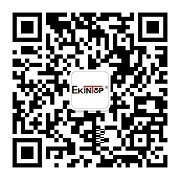 We have our own brand-Ekintop and at present we have two factories, and a Hong Kong office. Ourfactory area covers ​​30000 square meters and it has the monthly production capacity of 8000 sets of office furniture.We have professional production equipment and standard production process. Production Process 1 Now, welcome to inspect office furniture factory online. Here is our production workshop. This is a High-speed Band Saw. It can cut the material accurately and fast. Production Process 2 This is a Double End Machine. It is the most important of factory woodworking machines. Cutters can be set in various positions and cut any needed complex shape from different angles. This is an Edge Banding Machine which is used to glue a thin band of veneer to the edges of panels in a continuous process. Production Process 3 This is a Sander Machine, and it can carry on superficial fine polishing on the panel. After the polishing work the piece surface no longer needs to be resharpened artificially. Production Process 4 Then let’s move to our Finished workshop. In order to guarantee the effect and quality of the Finished, we have three processes:woodsealer, sandsealer and clear.